Eighth in a series. After almost 20 years in St. Paul – first on Jackson Street in Lowertown, then in the Hamm Building near Rice Park – the esteemed and beloved Artists’ Quarter jazz club will close January 1. As we near the end of a jazz era, we’re asking musicians (and a few others) whose lives have been shaped by experiences at the AQ to share their three favorite memories of the place, the people, and the music. It’s the end of June, 2013, and my big band has just finished playing in Mears Park for the [15th annual Twin Cities] Jazz Festival. It’s a huge moment for me because it feels like my band is being catapulted into the spotlight after playing in the tiny Jazz Central space for a year. We’re about to make the move to performing at the Artists’ Quarter once a month, and I’m just elated that [AQ owner] Kenny [Horst] is into the idea. The AQ is by far my favorite spot to play and listen to music, and the affirmation that what I’m doing with my big band is something worthy of regular time on the AQ stage is enough to get my heart racing every time I think about it. So I finish up at Mears Park and head over to the Amsterdam to play with Graydon Peterson’s quartet. After a killer show there, I know what my next stop has to be. There’s a jam session happening over at the AQ and I feel like hanging. My wife Jana and I walk over, and being the person she is, Jana talks with the guy leading the session to make sure he knows I’m there and want to play. (It has been a long day with a lot of playing and I’m content to hang. If it weren’t for Jana, there are probably a lot of things I’d have missed out on.) After a while, I get called up to play some tunes. Now, anyone who has seen my big band knows that I have arranged that tune, so I can’t really say no. [At the time] I knew the melody, but I had never really done the work to learn the changes from memory. Long story short, playing with Cyrus was exhilarating, but I sounded less than awesome. Needless to say, I went home and practiced “Days of Wine and Roses” a billion times, and now I call it at every session I go to, at least for now. The AQ was also the first time I saw the Atlantis Quartet, to this day one of my favorite bands in the Twin Cities. I was new to town and looking for people to play with, and when I heard those guys I knew who I wanted to play with. Zacc Harris and Brandon Wozniak both joined my quintet shortly thereafter. 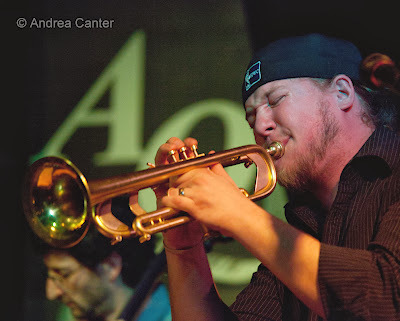 Pete Hennig and Chris Bates both play in my big band as well. The AQ has always been good at bringing people together. It’s such an intimate setting that it really makes it easy (inevitable?) to meet the people who perform on the stage before or after the show. I didn’t move to Minnesota until around 2009, so I feel unworthy to be contributing here. I’m definitely not an AQ vet. But I’ve lived in the Twin Cities long enough – and been to enough jazz shows at various venues – to realize the Artists’ Quarter is a special place. My first visit to the AQ was before I moved here – around ’07 or ’08 – and shortly after Christmas, I believe. The Tuesday Night Band was playing and a guest organist sat in for a couple of tunes. I think “Downtown” Bill Brown was ready to reclaim his spot on stage, but the guy sitting in kept on taking longer solos and would not surrender the chair. He was having too much fun and didn’t want to leave! Don Berryman caught video evidence of the joy I felt hearing Matt Wilson’s Arts and Crafts. I’m more of a head bobber than someone who taps his feet, and I look thoroughly goofy (but ecstatic) during “We See.” Matt Wilson was diggin’ Terell Stafford’s solo so much that afterwards he wrote on Twitter that he nearly peed his pants. I don’t remember what show it was, but shortly after vocalist Christine Rosholt died, I recall unintentionally eavesdropping on the conversation Davis Wilson was having with a local singer at the table immediately behind me. I don’t think Christine appeared frequently at the AQ, but it was obvious how much Davis cares about the local musicians. Being someone who hasn’t played an instrument since 5th grade, I’ve found the AQ has been a place where I’ve been able to learn about the music I love and congregate with others who share a passion for this art. What an opportunity it was to hear the Bryan Nichols Quintet play the music of Keith Jarrett’s American Quartet. “De Drums”! And I got to sit front and center to listen to Atlantis Quartet play the music of my hero, Sonny Rollins, when they tackled “The Bridge.” I still remember Brandon quoting “St. Thomas” near the end of the set. And how many tunes does Bill Carrothers know? I mean, who knows “Trade Winds”? Did Billy Peterson and Dave King know it? I also will never forget John Patitucci talking about Michael Brecker’s final session – and I got to ask John about that singer on “Tumbleweed.” Great story behind that tune! I’ll remember the intimacy of the room and being at a club that cared about the listener. I didn’t have to worry – and it pains me to use past tense – about a raucous party on the other side of the curtain. Sure, sometimes audience members had to be reminded, in the parlance of our time, that the cats in Paris put the m*****f*****’ quiche down and listen, but more often than not you got to hear loud and clear what was goin’ down on stage. That’s critical. For instance, I realized recently that you can’t fully appreciate Lew Tabackin until you hear that big, gritty tone up close. And everyone should have the privilege to hear Dave King’s E.T. toy not drowned out by salad forks. Not being a musician, I’m losing a significant connection to the music. 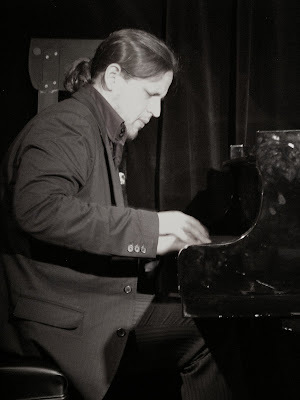 Jazz is a passion I don’t get to share as much as I would like. If I were to go to work and say, “I just listened to an Old and New Dreams boot and Dewey was killin’ it!” I’d just receive strange looks. I get strange looks at the AQ, but I think there’s some understanding! The Artists’ Quarter is where I made my first recording with the great Roy Haynes in 2006. (1) I’ll never forget walking into the club and seeing the microphones set up for recording. I remember asking Roy about it and him saying, “Oh it’s just to see what happens…” I had only been playing with Roy for a couple months, so never in a million years did I think that performance would turn into a recording and be released later that year. I’ll also never forget Kenny Horst coming up on stage and telling the audience how much he loved Roy Haynes. I don’t think I’ve ever seen any promoter or club owner do anything like that, and with such sincerity. 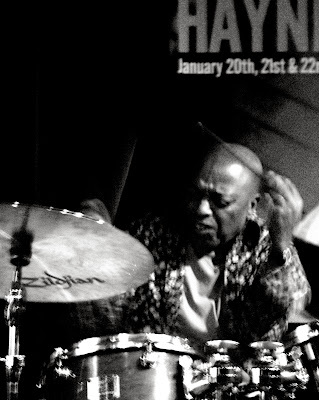 After that performance with Mr. Haynes, I developed a great relationship with Kenny. He brought me back to perform at the Artists’ Quarter as a leader twice, and I played with bands that included him and other amazing musicians from the Twin Cities area. These were also some of my earliest experiences going out on the road as a leader. I’m very thankful for that. Some of those performances were documented by Don Berryman and can be found on videos on Youtube. I still go back to check out those videos from time to time. Although it was extremely cold when I came into town those two times as a soloist, I remember Kenny and his wife, Dawn, having very warm, loving spirits. So warm that I always forgot how cold it was outside! They are very sincere people who made me feel at home immediately. I remember thinking to myself that the world needs more people like Kenny and Dawn. Thank you, Kenny, for such an amazing experience in your club and in Minneapolis. Your contributions to this music, and to my development as an artist and as a leader, mean the world to me. And I’m sure it means the same to everyone you have brought into your club. 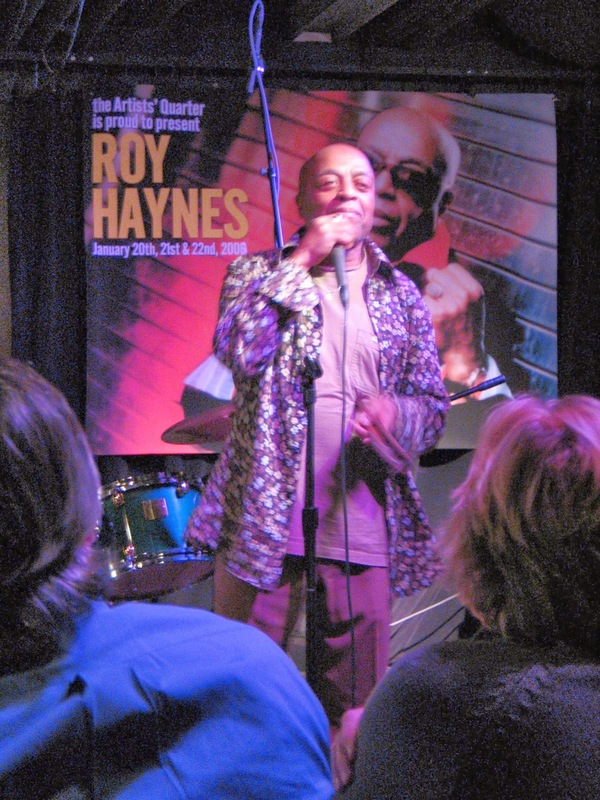 Note: (1) Jaleel is talking about “Whereas,” the album Roy Haynes recorded at the AQ in January 2006 with his Fountain of Youth Band, and for which Haynes received a Grammy nomination for his solo on “Hippidy Hop.” NEA Jazz Master Haynes and AQ owner Kenny Horst go way back. In 2006, the Fountain of Youth Band included Jaleel on alto sax, Robert Rodriguez on acoustic piano, and John Sullivan on bass. 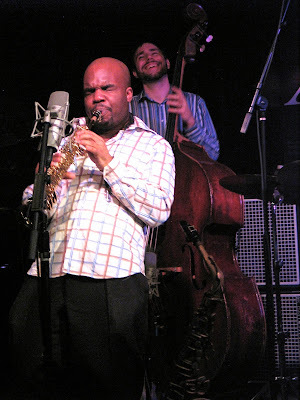 Jaleel was just 27 when he joined Haynes’ band in the fall of 2005. 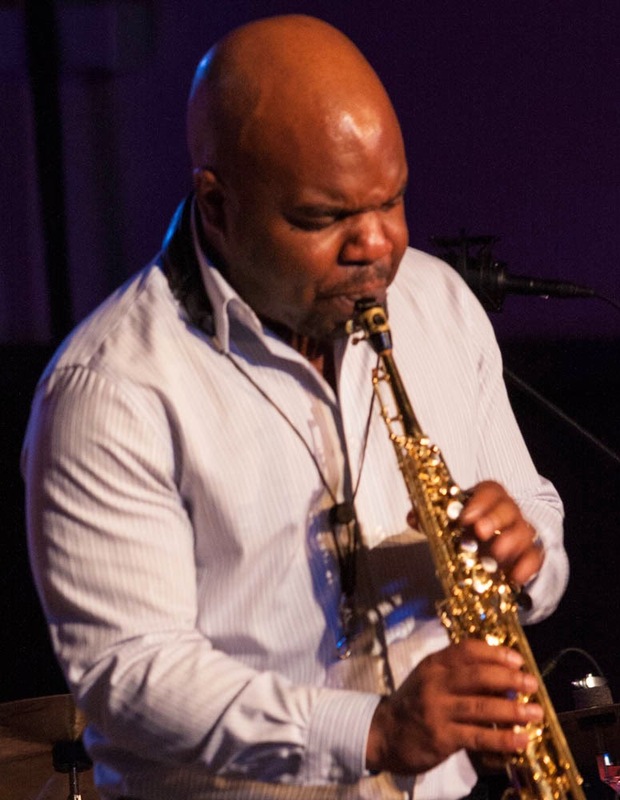 Today he leads his own quartet and trio and plays with Tom Harrell. He has released three albums to date, “Perspective” (2005), “Optimism” (2008), and “The Soundtrack of Things to Come” (2013), the latter two on his own label, Changu.